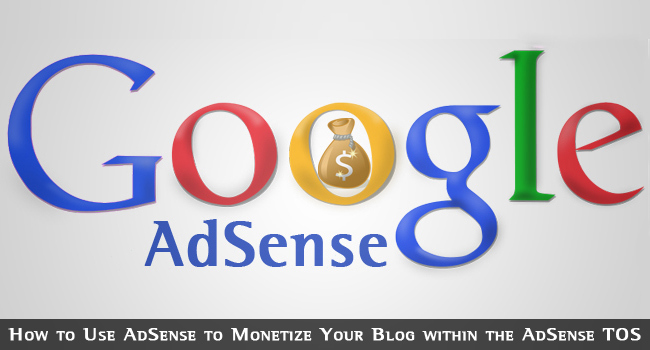 AdSense is Google’s contextual advertising program whereby adverts are placed on the pages and posts of participating bloggers. The program is also used extensively on regular websites, but we shall focus on blogs here. The adverts you see are taken from Google’s AdWords campaign, those ads you find on the right-hand side and at the top of the left side of Google’s search engine results pages. You must own a site or blog, and you must be over 18 years of age. Visit the AdSense website and apply to Google, stating the URL of the site where you will be using it. Google will verify your information and make sure the site does not breach its TOS: non-family safe or potentially offensive sites will be refused. This takes 6-8 hours. Google will then send you a snippet of code to place on your site. Place the code in the body of the HTML where you want the adverts to appear. Google will review your blog and either approve or refuse your application. This takes 2-3 days. Your account should then be fully approved and you can start making money. You can now manage your account by setting up ad blocks or lines of adverts on your blog pages and posts. You can change their appearance and colors, but not the content. Google will scan your page using an algorithm designed to establish its content, then place adverts in your chosen blocks that it believes are related to the content of your page. You cannot influence the content of AdSense ads. There are a number of AdSense plugins available for WordPress blogs. If you intend using AdSense on WordPress, then you will find a good selection to try out. 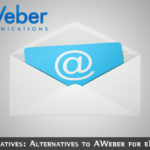 You will find a number of formats for your adverts. These may in the form of horizontal or vertical rows or columns of text adverts, or blocks of image ads in various sizes. You can also include large single adverts or groups of four, and you can place them anywhere within the Body section of your HTML. 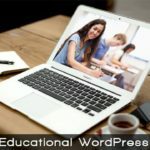 A lot depends on the layout of your blog, although it makes no real difference whether your navigation is to the right or left. One very important factor is not to use too many adverts above the fold. Google’s ‘Page Layout’ algorithm has an ‘Above the Fold’ update that punishes blogs and web pages with too many adverts above the fold (the visible area of the screen.) Keep to the same rough plan as above and you won’t go wrong. You can replace a 336 x 280 block ad unit with a 728 x 90 horizontal line of ads, but try to keep the area above the fold filled with useful information rather than rows of AdSense ads. 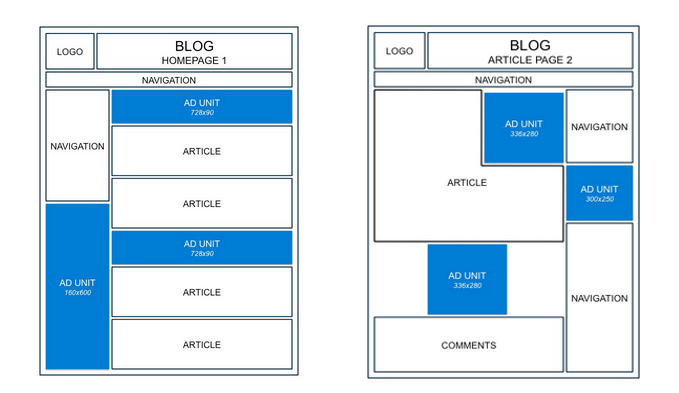 Google will fill up your ad units in the order in which they appear in your page HTML. If there are insufficient ads in your niche at any time to fill up all your units, then the later ones may be empty. This is usually not a problem because for most people the ads appear in the same order as the HTML appears to spiders. However, if you are using DIV tags in your coding, it is possible for a block visually appearing at the bottom of the page to appear first in the coding. This can also be true where tables are used to layout a web page. Google reads all the content of the first table first before going to the next table and so on. Your first table could include other tables that contain your content, but also contain the final ad block at the bottom. To avoid this, make sure that when you reading the HTML source code, the ad group that appears visually first also appears first in the coding. Otherwise, you could have empty space where your first advert should be. What is your reader trying to achieve: why is he or she visiting your blog? Where will they be looking and what parts of your page are they likely to skip? Which links on your blog do people most click on? Does your audience tend to interact on your blog – do they click links, or do they complete subscription forms? Will your adverts add to their experience or detract from it? You can use this information to decide on the most appropriate ad placement for your readership. If your visitors tend to gather around your sidebar, then place an ad block there. If they tend to spend more time reading your text, then put some ads between two paragraphs, just above the fold. Use Clicktale or some other form of heat map software to establish this type of information. Check out our post on heat mapping here. This type of software will also provide you with a graphical indication of whether or not visitors are looking at your AdSense adverts. By placing your adverts close to those areas that appear to interest your visitors, you will maximize the chances of them clicking on one. Keep in mind that they only have to click – you get paid whether they spend time on the advertiser’s site or not. It is very important that you neither describe your units as general navigation links nor give the impression that they are anything but adverts. If you use text such as “More information here:” then offer a text ad, you are liable to have your AdSense account terminated (more on this later). When Google suspends an AdSense account it is generally for life, unless you can prove that you were not responsible for the breach of its terms of service. A list of potential breaches is provided at the end of this post. Single vertical adverts vs. a same-sized column of vertical ad units. Placement of adverts, e.g. a horizontal ad block before the text begins vs. the same after the first paragraph. These are just examples. Those who rely on AdSense for a living will be continually testing ad placements, block sizes and even colors. Google will help you here, providing separate data for each identified group of adverts. This is possible because each placement will use an individual snippet of code that can include a tracker. You can test different placements simultaneously on different posts, and also test your Home page over different time times using different ad layouts. Find out more about split-testing and ad placement from our post 11 Top Ways to Increase AdSense CPC. How much do you get paid when somebody clicks on an advert? 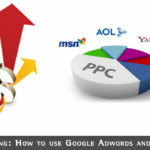 This depends upon the cost per click to the advertiser. Keep in mind that the adverts shown by Google on your blog are from its AdWords PPC program. Each advertiser bids a click price, the highest bidders getting their AdWords adverts published highest in Google’s search engine results pages. They will also have their ads published on the top ranking web/blog pages that contain AdSense. These bids can range from a few cents upwards. You get paid 68% of the click price received by Google. So for a $5 click, you get paid $3.40, but for 10C click, you get only 6.8 cents. This can amount to a good income, and your job is to maximize your clicks and also the value of these clicks. The more highly Google ranks your blog post or web page, the higher the click value it is likely to place on your page. However, you cannot simply focus on getting clicks, because you must also keep your visitors happy. It is usually found that the most profitable AdSense pages are those created for the reader and not for the ads. The clicks come as your readership increases. Clicking your Own Adverts: No matter how appealing the thought, never, ever click your own adverts, because Google knows your IP address and also the IP from which each click originates. When the two are the same, you will be in trouble. Paying for Clicks: Never pay for clicks. There are several services online where you can pay to have other people visit your website and click on adverts. In most cases they do not actually visit your blog; they are just served up an advert to click on. Google knows the sources of all such clicks. Paying for Visitors: Never pay for visitors to your site – Google is aware of such sites, and regards this just as badly as if you paid for clicks. If you are already a member of a service that sends people to your blog in return for money, then either cancel it or don’t use AdSense. Same People Clicking Your Ads: Do not ask your friends or family to click on your adverts. Google will regard it as a suspicious activity if the same people are continually clicking on your ads. Google has some very clever algorithms that can detect suspicious clicking patterns. Encouraging visitors to click on your ads: Some people place arrow pointing to the ads, or write ‘Click here for further information.’ Google will disable your account if you do this. Plagiarism: Google may disable your AdSense account if you copy web content and then place ads on it. Google can detect duplicate content and also where it was first published. If that is not you, then you are out! Altering AdSense Ads: Avoid altering the code snippet that comes with AdSense adverts. Altering their color to suit your own color scheme is asking for trouble. You can change the color, but only to Google’s options. Nor should you change the dimensions of Google’s standard ad blocks. This might seem like a good way to get them to fit exactly into the space available on your post, but Google doesn’t look at it that way. This is a blatant TOS breach. Using AdSense in Emails and Forms: Never use AdSense snippets in emails and forms, or even in eBooks and any other clickable publications except the site it was approved for. If you want to use the codes on other websites or blogs then ask Google: they will likely allow it after reviewing the site. If you publish the snippets in any other publications Google will regard that as a breach of its terms of service and your AdSense account will be disabled. Applying for Two AdSense Accounts: Google only allows one AdSense account per person. If you use a pseudonym and a proxy IP address to get another account, then Google will disable both accounts if it finds out. If you believe that you may be breaching the Google AdSense program Terms of Service, then contact the AdSense team and ask them. If you believe that you require a second account for some reason, then contact them and explain your reasons. They may allow it, but likely will not. By doing this you save losing your account for life. That’s what happens if you cannot prove without a shadow of a doubt that you were not even partially responsible for a breach. If you use your AdSense account properly, and take care where you place your adverts on your blog, you can make a lot of money. However, if you fail or if you lose your account through breaching the TOS, there are alternatives. Among these are Bivertiser, Chitika and Adversal. Many people use these by choice rather than apply for an AdSense account. There are also many other ways to monetize your blog. We shall discuss some of these other contextual advertising options in a later post. Many people even prefer them to AdSense, although the vast majority of those who have an account would never leave AdSense. They are perfectly happy with the residual income it brings them just for having the adverts on their blog posts and pages.